Dr. William Bethea specializes in medical and surgical Dermatology with emphasis in the treatment of skin cancer. As a native of Ormond Beach, Dr. Bethea graduated from Seabreeze High School and went on to attain his Bachelor of Science in Entomology from the University of Florida. Dr. Bethea was then elected as a member of the Health Professions Scholarship Program and commissioned by the United States Air Force as he matriculated through medical school at Nova Southeastern University. Upon graduation in 2005, Dr. Bethea served meritoriously as an active duty Flight Surgeon in Operations Iraqi Freedom and Afghanistan’s Enduring Freedom campaigns; Dr. Bethea states, “I take tremendous pride in this great country and was honored to serve the medical needs of our military men and women”. 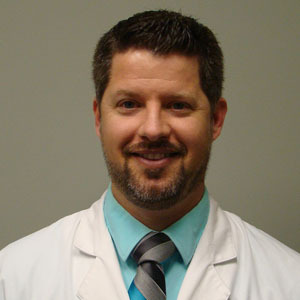 As the Chief resident during his dermatology residency at the Michigan State University/Oakwood Southshore Medical Center, Dr. Bethea was actively involved in academic pursuits which included national lecturing as well as publishing several dermatologic articles. He brings with him the newest and most cutting edge training in dermatology as well as a passion for patient centered care.